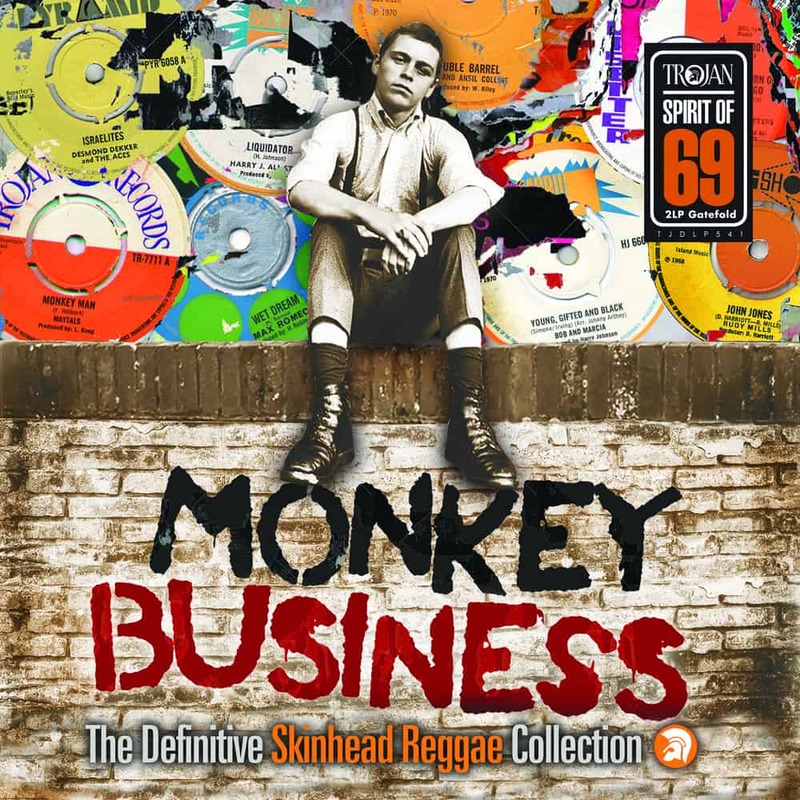 Originally released by Trojan Records as a one-disc vinyl album in 1980, the hugely popular ‘Monkey Business’ became the entry point for a new generation looking to find out more about the sounds that inspired 2Tone and the ska revival. Its reissue as a 2CD set in 2016 repeated the success, living up to its strapline as ‘the definitive skinhead reggae compilation’. Unavailable as a long player for almost 4 decades, the original LP has at last been rebranded and remastered with the track-listing bolstered by seven bonus tracks from the ‘boss reggae era’ of the late Sixties and early Seventies. Released to mark the 50 years of ‘the Spirit of 69’, this instant collector’s item is pressed on the highest quality vinyl and spread over two 12” discs to ensure maximum audio fidelity, and it’s presented in a stylish gatefold sleeve, which is annotated by top skinhead reggae DJ Toast, ensuring the album looks a good at it sounds.